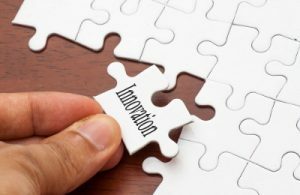 In a world where everything is new, improved or sensational, it’s time to consider what makes innovation effective. Bad marketing overhypes many so-called innovative products. It’s often symptomatic of the marketing department being called in at the end of the new product development process rather than the beginning. Yet it is well-known for effective innovation that the commercial exploitation should be developed in step with the technical. This is why Innovate UK insist on both being present in most of the projects they fund. True need is often misunderstood. The fact that you can make something does not mean it is needed let alone wanted. And it can be both needed and wanted, but there can be no demand. Yet it’s surprising how many businesses still develop products without first considering these. To understand Need let’s go to Maslow’s hierarchy of survival, safety, social and self-development. Few of us get consistently to the highest, self-development. Then consider the definition that ‘Need is a state of felt deprivation for some basic satisfaction’. Put simply, in a desert you are more likely to need a drink than a treatise on innovation theory! You would also ‘Want’ water as a specific satisfier of that deep need to survive. You might also desire cold beer, but in the desert it is likely that you would lack the ability to buy it. That ability could be the result of the lack of availability or that the cost is prohibitive. Or it’s just the wrong brand! True Demand in marketing speak is the Want for specific products backed by an ability and willingness to buy them. It is very difficult for a me-too product to be substantially innovative. Similarly the ground-breaker might miss the ideal time to launch and sink without trace. Or in our case study on fax this week perhaps has a second bite when need itself changes. Some products such as nylon find new uses and reinvent themselves. But in each case the need and wants come first and are captured by active marketing. Like innovation, marketing is time-bound. Innovation requires communication first. Marketing starts by finding data whether from existing datasets or by asking people in order to identify and quantify needs and wants. From this marketers determine likely demand in varying scenarios and define the ‘best’ product. It’s essential that marketing is there from the beginning to ensure that innovation systematically takes off when it’s technically ready to launch. And to stop resources being wasted creating another innovative product, which won’t sell because there is no need for it today. Proper marketing therefore makes innovation effective. ← Summer Break, A Time for Work?